This is a modern, new take on the torn and restored card. Instead of tearing the card into four pieces, Dave simply makes a very clear tear along the middle of the signed card and then slowly and visually rubs the tear away. There are no creases and no folds - no sign of any damage. The card is 100% examinable. Dave Forrest performed this routine at The Session 2011 and people have been talking about it ever since. 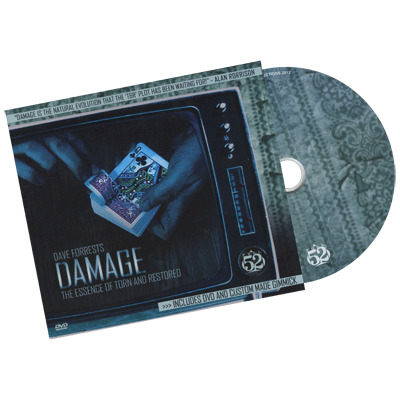 Now finally released on this DVD (with gimmicks), Dave Forrest teaches you everything you need to know about his incredible new take on the torn and restored card plot. From the clever gimmick through every detail of the clean handling, every nuance of this shot-stopping, visual miracle is thoroughly explained! And, it's SUPER easy to do!